Fine Brothers Entertainment (FBE) recently inked co-production deals with Nick Cannon’s NCredible Entertainment, Kinetic Content, and Sonar Entertainment, continuing the company’s expansion into television and long-form offerings. 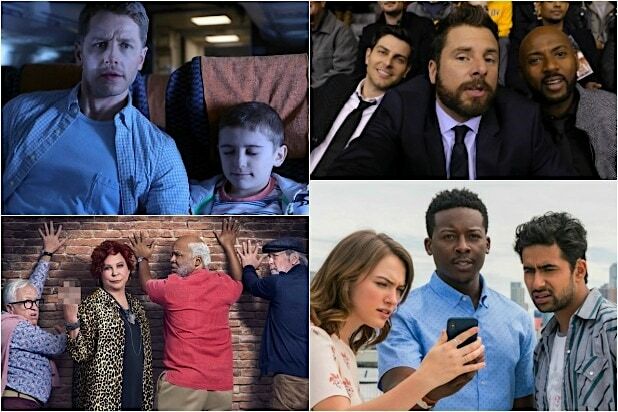 So far, FBE has created and sold 15 scripted and unscripted series to television networks and premium SVODs including Nickelodeon, Freeform, TruTV, Facebook, YouTube Premium, and EKO. That deal happened under the direction of FBE’s Head of Television, Brandie Tucker, and this week we caught up with Tucker to learn more. She talked about FBE’s development slate, the value of YouTube Premium versus Facebook Watch, and the growing importance of interactive story-telling. TheWrap: FBE just added four new TV projects to its development slate, which of these projects excites you the most and why? Brandie Tucker: I hate to give the obvious answer, but there truly is something that uniquely excites me about each project, and that’s the point. We focus on quality over quantity and develop a diverse slate of projects that we are passionate about for different reasons. With projects like “Everything’s Happened Before” and “Co-Conspirator”, I am excited for the opportunity and challenge to reach people across party lines and generate fruitful conversation. When you watch any political content on FBE’s YouTube channels, you get an unbiased representation of several opinions and beliefs, and that diversity is reflected in our audience as well. While these two TV projects will take stronger stances, the presentation will still be in typical “FBE style” that appeals to all walks of life in an entertaining yet respectful way. FBE has sold projects to Netflix, Nickelodeon, and YouTube Premium what is the biggest difference between the three in terms of the content they want and how it resonates with their audience? A chief difference between a traditional TV network like Nickelodeon and an SVOD like Netflix is volume. Obviously, there are other big differences (platform, revenue model, audience data, etc), but having a finite amount of slots creates more pressure for each greenlight decision to be a success. Pressure welcomes fear and fear welcomes failure. Netflix has the slots and the money to experiment with a ton of programming and figure out what grabs their audience and they have been fearless in doing just that. Netflix probably produces more “flops” in a year than a traditional network, but they take more shots on goal and that’s helped them jump ahead in many regards. YouTube Premium is still finding its identity which makes it harder to nail down what content they want (outside of live celebrity events) and they aren’t buying in high volume, but YouTube’s platform provides producers with the best audience data of the three and that’s very appealing for us. Which do you see as more valuable to FBE YouTube Premium or Facebook Watch and why? Both present a path to creating more premium programming with larger budgets that natively work on the platforms where our audience knows and loves FBE. However, these platforms are still evolving so time will tell which one proves to be more valuable. I’m intrigued by the interactive features Facebook Watch is starting to roll out for creators and hope the trend continues. YouTube is home to our biggest channel, which has been described as the “YouTube version” of a broadcast network, and that can be very valuable when utilized properly for premium programming. As both continue to work on their versions of the future of television, they still have real and dedicated audiences, discovery and monetization capability that can’t be ignored and what we find refreshing is the collaborative way we work with platforms behind the scenes to learn how to optimize our company’s success as well as help improve the platforms. FBE recently partnered on a new film comedy series with the interactive storytelling platform, Eko. How significant do you expect interactive story-telling to become in the entertainment landscape and why? FBE has been on the leading edge of innovating around interactive programming, from choosing topics based on audience suggestion, to full immersive experiences inside of scripted series such as “MyMusic” to allowing the audience to determine the ending of our sitcom “Sing It!” for YouTube Red. When done correctly, and with the right technology as it continues to evolve, there is going to be a continued growth in the interactive genre, and platforms like Eko and others are leading the way. Given that consumers now have a wide variety of destinations to view content, how can content creators ensure that their programming finds an audience? First, I love that you’re asking me for the solution to the biggest challenge of our industry since its inception. Piece of cake! Second, I have a premium longform answer but I think the shortform version works best for this medium: Find fans. Feed fans. FBE went from a staff of two to a staff of 75 making content viewed over 11 billion times, without any investors or celebrity backers, because we know fans. We have built such big audiences because we service fandom, and not just with popular IP. I think about the etiology of fanship from development through delivery of every new idea. We like to say, “Give the audience Disneyland” (or for me personally, Pottermore). However, when you’re working with a buyer you are limited to what they will approve — how deep they are willing to go to reach fans.